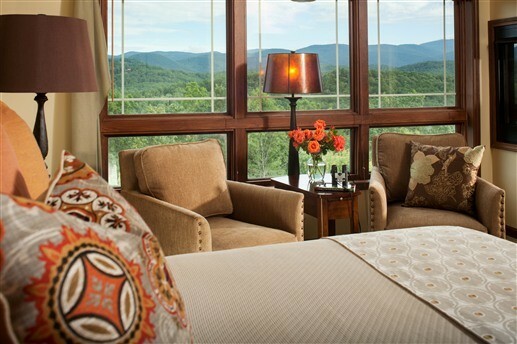 A high-altitude escape awaits guests at this beyond the ordinary Georgia Mountaintop Inn & Spa. 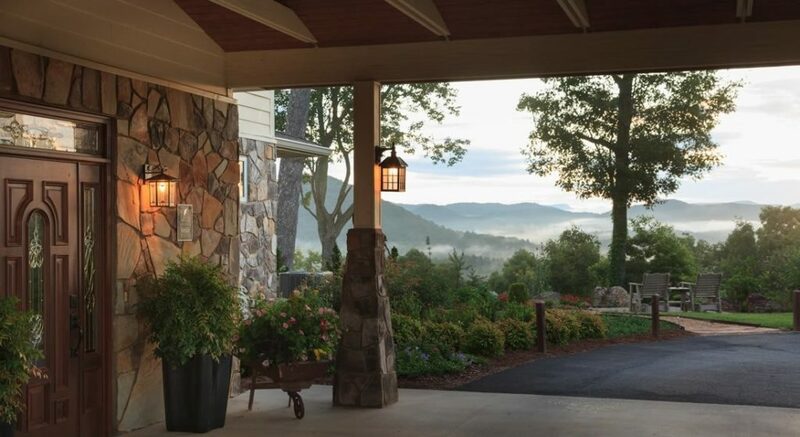 A pinnacle location in the Northeast Georgia mountains with not just views but wide 360 degree vistas. Spectacular outlooks of blue tinted mountains, endless skies and forested valleys. The Inn was purpose built in 2001, the location was specifically chosen for the vistas and location. 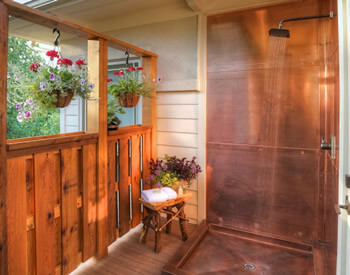 Built in the Arts & Crafts style that fits so well with the surroundings. And the surroundings? Diverse with plenty to see and do. When the highways and now well-traveled parkways were completed starting in the 1920’s, through the 50’s and 80’s, tourism gradually increased. Today the area is a popular well visited destination. In addition the town of Blue Ridge (near the Inn) is the Trout Fishing Capital of Georgia. Trout, wine and apples, sounds like a good river, vineyard and orchard to table meal to add to your high altitude escape experience. A huge part of the experience in the Georgia mountains are the scenic drives and the discoveries found along the way. National Geographic has a wonderful travel guide book entitled; ‘Drives of a Lifetime’. One of the featured drives takes you on an adventurous drive through the area surrounding the Inn. 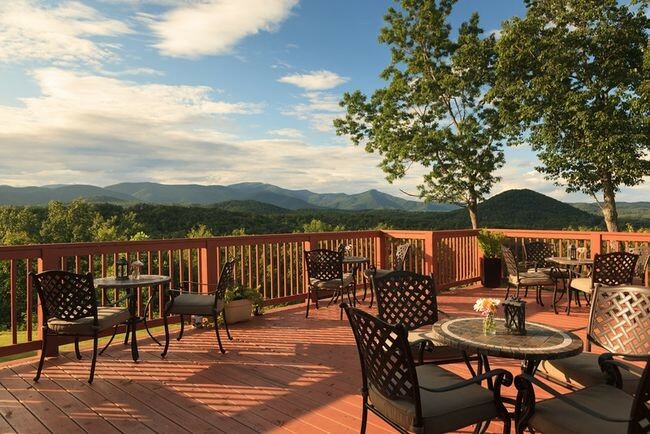 High altitude escape…Lucille’s Mountaintop Inn & Spa for sale, most perfect place to start and end your days. From trout fishing to wine tasting to road trip warriors plus so much more. This is THE place to stay. The Inn’s website has suggested itineraries that illustrate the abundant activities available. Very clever marketing and worth a read. Let’s take a peak (pun!) at the Inn. Start with the portico entrance leading into the first level open living room with fireplace and spacious airy breakfast room. The wide wrap-around decks surrounding the breakfast room are truly outdoor rooms! Throughout the Inn the atmosphere is warm, decorated in rich tones with a contemporary flare. The terrace level of the inn features a guest suite with outdoor seating, a newly renovated conference room that opens to the terrace and the inn’s laundry facilities. Then there is the Spa at Lucille’s, another reason to stay. A covered walkway leads to the Spa. A large guest suite with a spectacular view sits at one end of the spa building, while a full-size guest apartment sits at the other. All 13 guest rooms are decorated in rich colors and are appointed with luxurious amenities. The inn also has newly constructed private owners’ quarters with a separate entrance and a full kitchen. Sometimes the best way to learn about a lodging property is to read from a guest’s point of view. Someone who has experienced the Inn and surroundings. And did I mention, it is a four season resort. For guests and for new owners, Lucille’s is near perfection. Pristine condition, spectacular setting and location. Just 90 miles north of Atlanta with easy interstate access. Highly profitable financially viable. Interested? For more information The B&B Team is here to help. Give us a call. This entry was posted on Wednesday, June 20th, 2018 at 3:57 pm	and is filed under Inns for Sale. You can follow any responses to this entry through the RSS 2.0 feed. Both comments and pings are currently closed.